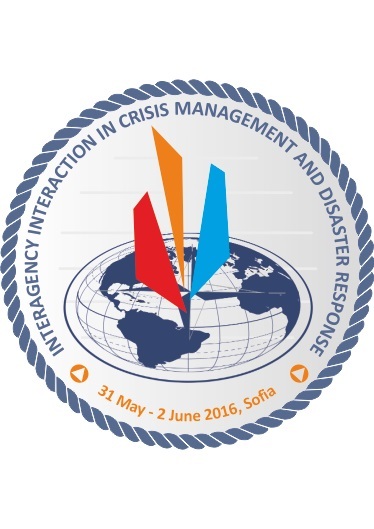 The Interagency Interaction in Crisis Management and Disaster Response is a core task that requires common efforts and advanced knowledge to collaborate the skills of many actors – governmental, non-governmental, regional, local etc. Recent events worldwide have once again highlighted the critical need to establish and maintain interagency understanding and interaction in order to perform complex respond and comprehensive approach to crises and disasters nowadays. More than ever, combine efforts need to be widely recognizable, interoperable and affordable.Crisis Management and Disaster Response COE Annual Conference aims to promote ideas in a way that will advance the common understanding as well as gain points of view that might not have been otherwise considered. It is a goodwill venue for all those who work in and around crisis management and disaster response from the civilian and military communities that wish to share opinion and experience, learn from, and meet with interlocutors from around the world. Conference 2016 will be held on the 31 May – 2 June in Sofia, Bulgaria.The CMDR COE Conference is open to all NATO and EU Nations and Partners, governmental, non-governmental and international organizations. - Lessons Learned From Disasters Relief And Humanitarian Assistance. - Consequence Management and the Mitigation of the Natural and Manmade Disasters. - To make the contacts in order to exchange ideas among the members of the crisis management community of interest. - The researchers from different countries to have the opportunity to present their work and to share experience with other scientists working in the field of Climate change. - To share data between researchers in different countries, cooperation between research institutes and governmental organisations, the application of hydrological and meteorological research for the planning of disaster prevention activities according implications of Climate change in military operations and disaster occurrence. The working language will be English and interpretation services to and from other languages will not be provided. No limitation for participants by nation, no security clearance is required (non-classified information will be shared). CMDR COE will provide more detailed information additionally in due course.The Conference 2016 proceedings will be published in the CMDR COE Proceedings: - ISSN 2367-766X. For more Information about the book series visit website: http://www.cmdrcoe.orgArticles will be published after a peer review by the Editorial team of CMDR COE. • writing style (Arial, 12 pt) – scientific level and mastery of the issues. Materials shall be sent in electronic form to the CMDR COE address (1606 Sofia, 34A Totleben Blvd., • Shipka hotel, floor 2) or by e-mail. In addition enclosure name, email, institutional address and brief Curriculum Vitae of the author (academic degree, position, monographs, important papers, scientific interests, etc.) in English. Abstract (approx. 200-300 words) of presentation in the CMDR COE Annual Conference is needed. The paper fee of 35 euros for inclusion in the CMDR COE Proceedings`2016 should be paid.